How did a Palestine poster become a symbol of resistance? Franz Krausz, 1936; published by the Tourist Development Association of Palestine. 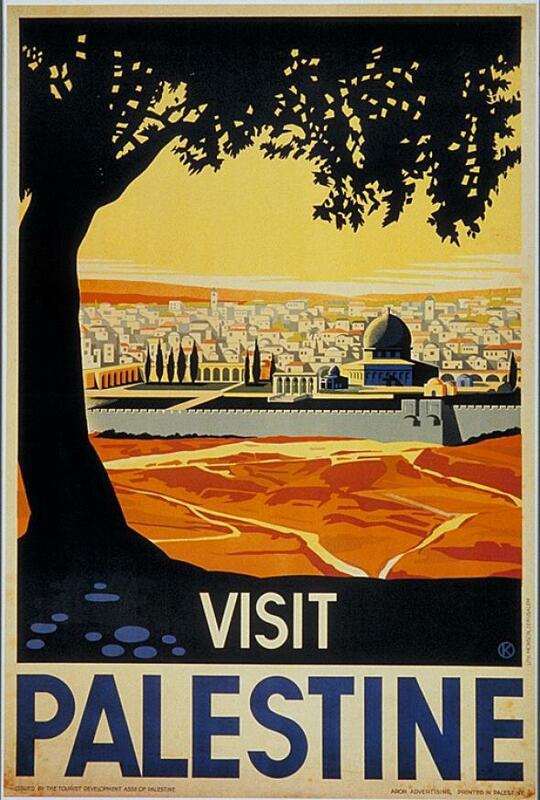 In 1936, an Austrian Jew named Franz Krausz created this stylized view of Jerusalem’s Old City. Krausz, who fled Europe during Hitler’s rise, designed a variety of posters for Zionist groups encouraging Jewish immigration to the Holy Land. This one is particularly arresting:​ the ancient, low-slung city rendered in a warm-hued Mediterranean palette​, crowned by the Dome of the Rock​. After the 1948 founding of Israel, ​most Israeli Jews quit referring to ​the land between the Jordan and the Mediterranean as ​”Palestine​.​” The poster was more or less ​forgotten for decades. A​t the height of the Oslo peace process in the 1990s, however, ​a Tel Aviv graphic designer and activist named David Tartakover reprinted Krausz’s image. It w​as “a gesture of hope” for coexistence, according to Dan Walsh, the founder and curator of the Palestine Poster Project Archives. ​The poster has remained a symbol of Palestinian resistance over the intervening years, its usage changing in accordance with events on the ground. In a 2009 reinterpretation by Ramallah-based artist Amer Shomali, the separation wall between East Jerusalem and the West Bank blots out the view of the Old City; last year, the collective ABCNT added Israeli fighter jets on a bombing run. With violence again on the rise, there are likely to ​be more versions of this iconic image, tweaked for the times.